Kudisan Kai has lead an incredible journey. True to herself, her music which is as angst-driven and edgy as it is poetic and sensitive, has placed her on stages from LA's Viper Room to Boston's Hard Rock Cafe, Brooklyn's Saint Vitus Lounge, even getting in under wire, appearing at Manhattan's iconic CBGB's before it closed its doors. True to her eclectic nature, Kudisan, formerly known as Natalie Jackson, went from her Bachelor's degree opera training at Howard University, graduate training at the Eastman School of Music to winning a Downbeat Magazine Best Jazz Vocalist Award to working with Grammy Award-Winning producers including Don Was, Patrick Leonard, Glen Ballard, Arif Martin, and Narada Michael Walden, recording with a multitude of artists including Fishbone, Roger Waters, Joe Cocker, Bette Midler, Salif Keita, Ofra Haza, to name only a few. Kudisan has also worked in films including Ali, James Newton Howard's music in Disney's Dinosaurs and the most recent, a John Powell/Sergio Mendez collaboration on Rio II which was released in the summer of 2014. 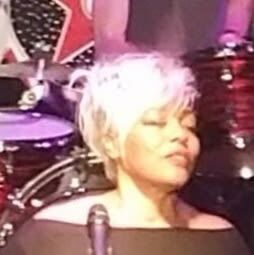 She has done live performances with artists including Sting, Mary J. Blige, and Beck, to touring with artists ranging from Natalie Cole, Anita Baker, Jeffrey Osbourne to a six year stint with Elton John and Chaka Khan. Adding to her enigmatic status, Kudisan Kai also taught at Berklee College of Music in Boston, MA. A: Much of my career has been as a touring singer. I am proud of the work that I did with Elton John. I am proud of every project I have ever worked on. I always work to do my best on everything that I do. I work hard. I think my cover of Radiohead's Exit Music for a Film is my favorite vocal. I think I did it justice and pray that one day Thom Yorke gets to hear it. Hope he likes it. A: I am writing my memoirs, trying to get a residency with my band in LA, and write ng music for whomever is looking for music and for my new EP. A: I am totally new to SoundBetter. It sounds like an awesome site and yes, I would recommend it based on the objective. A: I promise they will love what they hear and love how it makes them feel. A: I am doing what I was put on this planet to do. Singing. 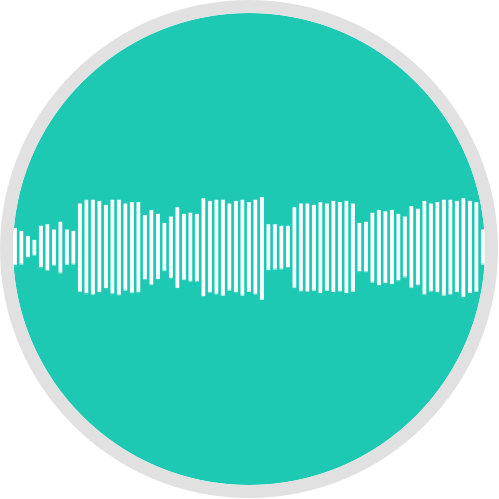 A: Most clients are aware of my work or have heard something that I have sung, so that are expecting me to at least sound like the recording they are familiar with. I love when clients allow me to improvise in their genre. They are always happy and surprised that I know how to do this without everything sounding gospelized. A: I think the biggest misconception is that many people assume that because I am black, I am from a gospel background. Therefore, I am not as versatile. A: If the client doesn't have an idea of what they want, I ask them to tell me who they want the vocal to sound like. I can match that or expound from there. A: I think it is important to have a clear picture of what you want, at the very least, know the vibe so that you can convey this to the independent contractor (me). That way, everyone is on the same page and can create the music you heard and felt in your head. A: I would take a blanket, writing pads, pens, and a tent. I always have my voice, thankfully! A: My career path was to be a rock singer who also writes music for other artists, film, and tv. It is still my career path. I have been singing in the business for over 20 yrs. A: I am an alternative rock singer from the soul, through and through. The diversity of my training and background gives my voice more tone and lends itself to a style that is all my own. A: My dream is for my band to open up for Deftones and Radiohead. I think my outstanding vocal qualities are similar to Th M Yorke and Chino Mor no, I.e., the diverse use of timbre,tone, air/breath, and honest speaking of the lyric. I have already work d with Chaka Khan. We are very much alike I that we both have big voices, with soft tendencies. Neither of us were raised singing gospel, so our approach to R&B is different than gospel singers. Also, we both are well versed in rock and jazz. A: When recording leads, it's best to have everything finished, including backgrounds, before doing a lead for a demo for an artist or songwriter. 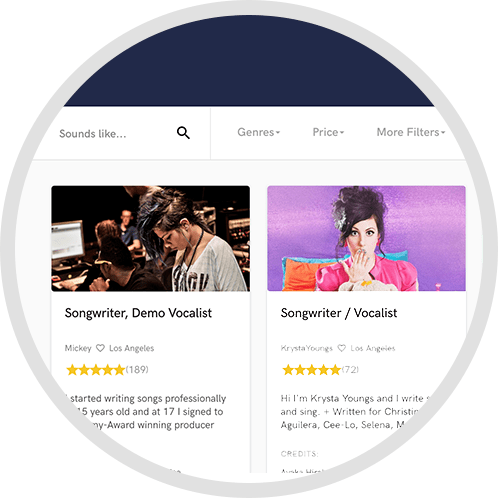 You will get the best performance to sell the song. Put th voice in the center of the music, so the singer can feel everything. Set the mood! A: Rock is my favorite music, so people who know me ask me to do this. Also, because of my experience touring with Chaka Khan, I am asked to sing a lot of R&B. Because I have a good ear, many times I'm asked to do close, intricate harmonies linked mostly with jazz. My airy tones work well with singer/songwriter music as well. A: I am very versatile. Because of my training, I execute vocals in tune, efficiently and quickly. Because of my experience, I know how to sing authentic to the style, with feeling. I sing in a number of genres very well. A: My authentic personal experience. My truth. A: For r cording leads, usually the client sends me the MP3. Sometimes there is a dummy vocal. Dependent upon the producer, they may have a specific melody they want me to follow. Or, they may ask me to interpret the vibe according to the track. For bgv's, most times the producer know what parts we wants and where. 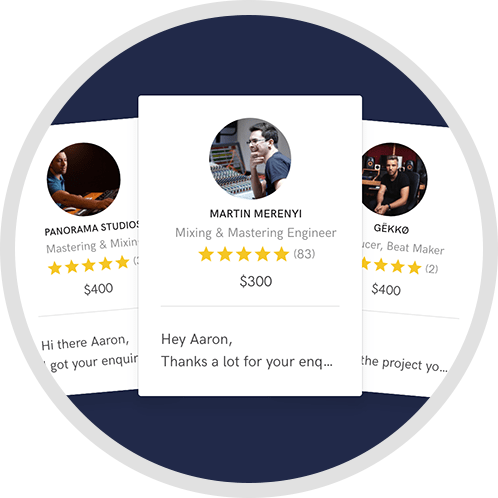 Usually, creating bgv parts for a r cording is an extra fee. I can do this also. A: I have access to a producer friend of mine's recording studio. It's a Pro real studio with racks of outboard gear, a Neve console, and lots of amazing microphones. A: I am inspired by the vocal prowess of people I've toured like Chaka Khan and the vulnerable honesty of Thom Yorke from Radiohead. Also, I love the use of dynamic extremes that Chino Moreno from Deftomes. A: Independent contract on Lead and background vocals for music for tv, records, and film. Look for Kudisan Kai to appear this July 2016 on ABC's new summer show Greatest Hits, hosted by Arsenio Hall, singing backing vocals for the iconic group Foreigner. They will be performing their hit I Want To Know What Love Is.